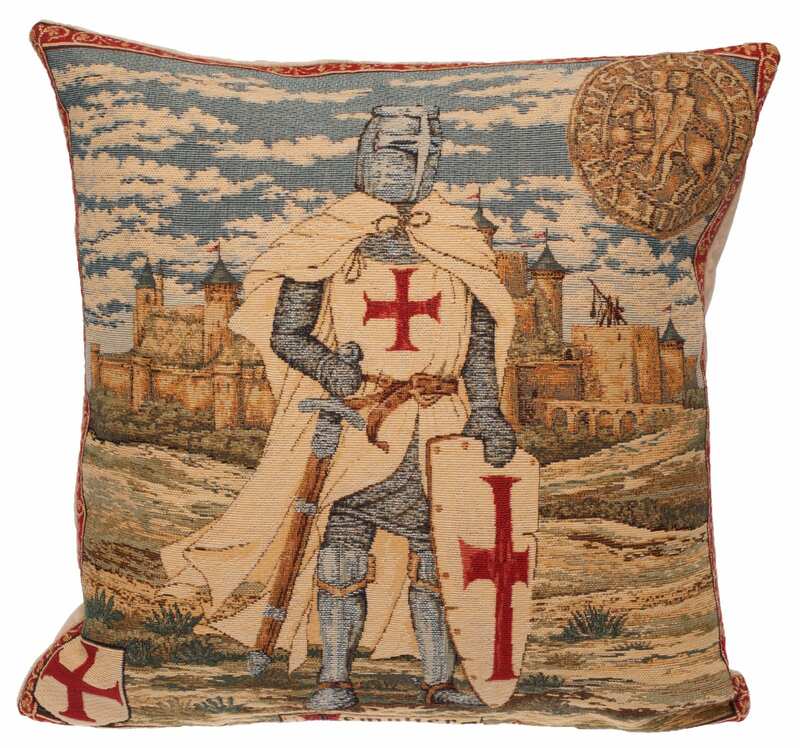 This Museum Collection gobelin cushion cover shows a Knight Templar, The Order of Solomon's Temple (French: Ordre du Temple or Templiers) or simply as Templars, were among the most wealthy and powerful of the Western Christian military orders and were among the most prominent actors of the Christian finance. The organisation existed for nearly two centuries during the Middle Ages. It's so awesome would love to see this in a bigger size though. Heel mooi kussen, zowel afbeelding als kwaliteit. Love it! 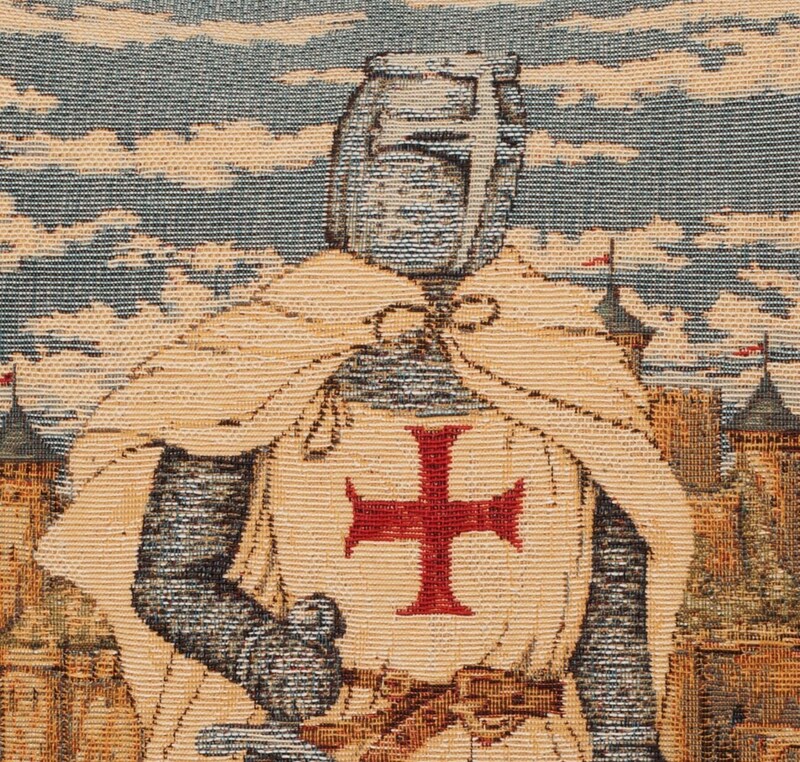 It is amazing quality, thick, vibrant and woven to order. It shipped crazy fast all the way from Belgium, astonished how affordable shipping was. Thank you Yapatkwa Tapestries.